Earlier this year, I announced that I would be delving into the world of Indy author book reviews. Since then I have acquired a diverse array of reading material, and it was difficult to choose whom to read first. But then I came upon the intriguing Crater Lake series by Indy Author Francis L. Guenette. Set in a lake side community in Canada, the Crater Lake Series currently comprises: Disappearing in Plain Sight (January 2013, Friesen Press) and The Light Never Lies (2014 Friesen Press). When I read the first chapter of Disappearing in Plain Sight, I knew that author Francis Guenette was an accomplished writer, but I was worried that I had signed up to read a teen romance. Instead, I discovered a book that explores relationships between friends, lovers, personal identity and the myriad factors that shape a person’s current existence. Tales of love play out in various forms from unrequited love, struggling and successful. 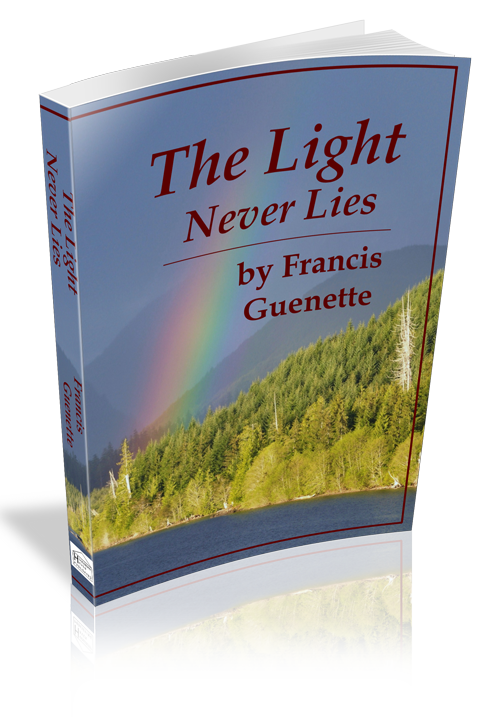 I enjoyed the cast of multi-faceted characters so thoroughly, that I delved right into Guenette’s sequel, The Light Never Lies; thus my double book review. But before I start talking about the second title, I would like to acknowledge the refreshing setting and pace of book one, Disappearing in Plain Sight. Guenette’s easy writing style pulls you into the Crater Lake community in Northern Vancouver Island, Canada. Whether it is the wind blowing through the trees, the play of light on the lake’s surface, swimming or fishing or the hours spent in Izzy’s prolific garden, nature is a prominent force in this novel, creating a dynamic backdrop to everyday life. Just as nature can be at one moment calm and peaceful and the next full of excitement and impending danger, a similar tumultuous landscape exists within the psychological make up of Guenette’s characters. Due to the remote setting and the introduction of a handful of fast friends, I was expecting a slow-paced novel where characters lazily unfold, each chapter bringing more depth and history alive. Guenette does just this. But, what I found clever and unique about this book concept, is the contrast of the local crew with the clients of Micah Camp. Micah Camp is not a typical kid’s summer camp. It is an accredited counseling center / residential program for young adults between 18 and 22 who have been through the often traumatic foster care system and need extra help transitioning to university and / or a career. Micah Camp helps these at-risk youth by providing a comprehensive counseling, assessment and job placement program. Many of these kids wear their past traumas like armor, and their often fast-paced lifestyles and hardened outlooks on life contrast greatly to the slow and ambling pace of the locals. Or so it seems. By locating this camp within the idyllic lakeside community, she creates a juxtaposition of the locals outside the world of counseling and those within. These two worlds intersect through the presence of Izzy Montgomery, a Micah Camp counselor and Crater Lake resident. Attractive and compassionate, Izzy is the axis that ties the two worlds together and the cause of many a fluttering and frustrated heart. The further you are drawn into the personal histories of each character, the line between those within and those without begins to blur, as if the author is telling us that every human that has lived has a past to be reckoned with, and could benefit from a bit of soul searching combined with the helpful ear of a counselor to walk you through. It also becomes obvious that counselors don’t always come in the form of a person with a degree in the field. For example, Liam Collins, a middle-aged Native American man who runs the local saw mill isn’t much of a talker, but has the ability to fully listen and be present for others. The author’s personal work history—Guenette has worked as a trauma counselor and researcher and has a master’s in Counseling Psychology—shines through in the writing. She fleshes out the characters with such thoroughness that they become people you think about long after you have closed the book. I recommend this book and found it a thoroughly enjoyable read. The Light Never Lies brings back the full cast of characters from book one and throws in a whole new line up of characters and problems that bring chaos into the previously well-ordered world of Izzy Montgomery and her friends. At first, I was frustrated by the sheer number of new characters. It felt unsettling, like there were just too many stories to follow. And then, like an overworked counselor, I threw my hands up in the air and began to accept the new reality, right along with the characters in the book. Guenette adds a new element of suspense and insight through the introduction of Robbie, a young boy and half-brother to one of the lead characters with a special talent. Through his eyes, the readers gain insight and foreshadowing into events that will play out, and access to feelings and connections that exist between characters that they themselves haven’t yet realized. Not only is the cast crowded in book two, but the pace is notched a few decibels higher with elements of impending danger taking the story in the direction of a thriller. Although some may feel that The Light Never Lies could be read as a stand alone novel, I see great benefit in reading this series chronologically. I liken it to the following; if you had a chance to go back in time and gain personal insight into past experiences that shaped the way your friend or lover interacts with the world, wouldn’t you take it? Guenette’s ability to get inside the heads of so many characters and express their inner workings in a believable manner makes The Light Never Lies a pleasure to read. Yet, the reading experience is not limited to interior thoughts. She puts the daily pace of life into the book by covering the simple things that fill the daily worlds of the characters, thus grounding the story in reality. At the end of book two, Guenette resolves a fair amount of conflicts, but leaves enough open ended threads dangling to keep readers pining for more. But you will have to be patient, because book three is not expected to be out before 2015. Friends don’t let friends drive drunk and Indy authors support Indy authors. Interested in submitting your Indy book for review by author Kristin Anderson? Please see the guidelines outlined in the post linked here. I am humbled and grateful to receive such a great double review of my work. Thank you so much, Kristin. Kristen – thank you for this wonderful review of my wife’s novels. Although some might suspect my personal bias, this review of the Crater lake series is the most complete and concise that I have yet read. Makes me want to go back for a re-read! A note about your own novel “Green”: As a long time environmentalist, or rather Green, myself, the novel looks fascinating. I have yet to pick up Fran’s kindle, though in the future I will, and Green will be on the top of my list. I noted from reading your review page of Amazon, that you have a interest and back ground in sustainability, and also have written on architectural issues. Both are keen issues to me as I have dedicated much of life’s work towards the democratization of energy via renewable resources, conservation, and small solar home design. Good luck with your continuing vocation and life journey, and good work! And by the way – Francis (and I too) will re-blog this post within a few days. Dear Bruce, Glad to hear my review struck home with you! I honestly enjoyed reading The Crater Lake series, thus it was easy to give them a positive review. But now I want to live in nature again and not in the thriving metropolis of The Hague! Always nice to find a kindred spirit in the green movement. It would be of course nice to hear your thoughts when you finally wrestle the ereader away from Fran and have time to read GREEN. A couple of really thought-provoking book reviews for the Crater Lake Series – Disappearing in Plain Sight and The Light Never Lies. Kristin Anderson’s take on the novel’s even gave the author a couple of ‘aha’ moments 🙂 This blog is another stop on the tour so get your comments in over on Kristin’s blog for a chance to win a book. 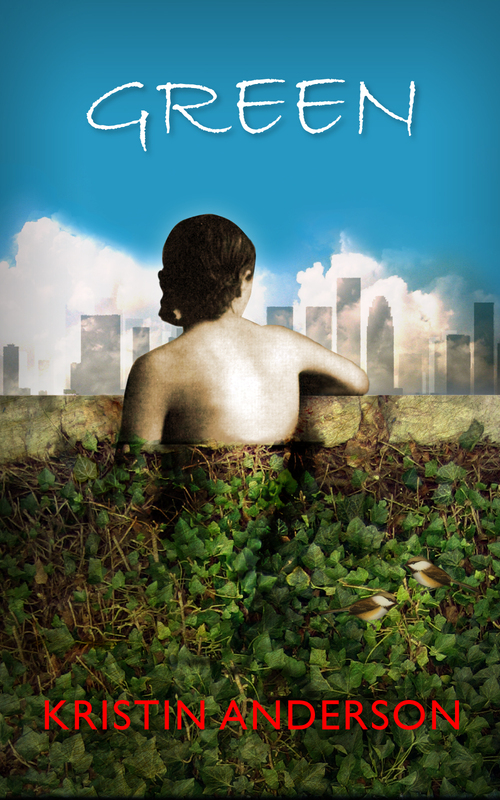 Author Kristin Anderson has been writing professionally for the last 10 years in the fields of architecture and sustainability, and her debut novel is out – Green. A couple days ago, she shouted out praise for my wife’s 2 novels of the Crater Lake Series. This review gives a detailed overview of both of them, without being a spoiler. People of many walks are being moved these narratives – from business managers, mothers and teachers, to health professionals, mechanics, and loggers. If you haven’t already read either of Francis’ novels, please check this out now. Her background is as educator, researcher, trauma counselor, and grandmother…. all extraordinaire. By the way – the third in the series is due out in 2015 – Chasing Down the Night. Enjoy the review, thank you Kristen, and cheers to you all… Bruce. No problem. Hopefully more people will discover these great books. Excellent review, Kristin. I agree, Disappearing in Plain Sight was definitely not a teen romance. There were so many layers to this story and Fran’s ability to bring the setting to life is impressive. The Light Never Lies is loaded on my Kindle and I’m looking forward to revisiting Crater Lake very soon. My goodness….a thorough, shining review! Francis must be on the moon at this point. Thanks, ladies! Yup, Hazy – you got that right – on the moon. Thanks for stopping by.